U.S. Ambassador to Ireland nominee Brian Burns in The Irish Times. As of 20 February, a Senate vote to confirm Burns has not been scheduled. Brian Burns at BC in 2012. This entry was posted in Arts & Culture, Irish America, Politics and tagged Boston College, Brian Burns, Donald Trump, kerry on February 21, 2017 by admin. Outgoing President Barack Obama will return to the Republic of Ireland “in the coming year or so,” according to U.S. Ambassador to Ireland Kevin O’Malley. “The last sentence the president said to me … [4 January] when we were saying goodbye, was ‘please tell them I’m coming’,” O’Malley told RTÉ host Marian Finucane. While the location or context of his return is less clear than the timing, Obama is generally popular in Ireland. His May 2011 visit included a stop in Moneygall, County Offaly, the ancestral home of his great-great-great grandfather. Since then, a service plaza was erected in Obama’s honor on the M7 motorway just outside the village. In addition to petrol and fast food, the place is packed with Obama souvenirs, plus memorabilia of popular presidents Bill Clinton and John F. Kennedy. In a contemporary sense, it might be the most Irish-American spot in all of Ireland, through certainly not the most scenic or historic. 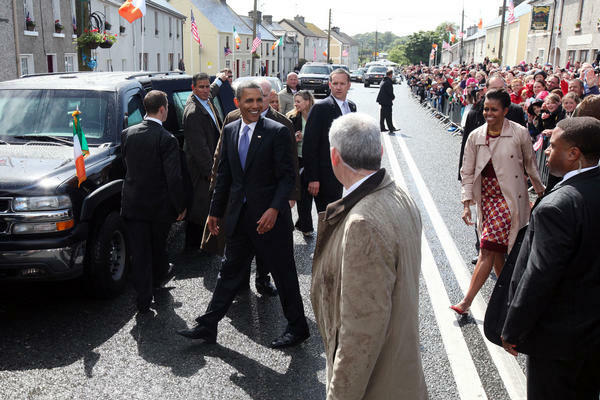 Barack Obama in Moneygall in 2011. Obama, who also visited Northern Ireland in June 2013 for a G8 summit, leaves office 20 January, the inaugural of President-elect Donald Trump, who owns a golf resort in Doonbeg, County Clare. O’Malley will leave his Dublin post a few days earlier due to a demanded from the incoming administration that all non-career ambassadors depart immediately. IrishCentral, citing a tweet from New York Times writer Maggie Haberman, reports the next U.S. 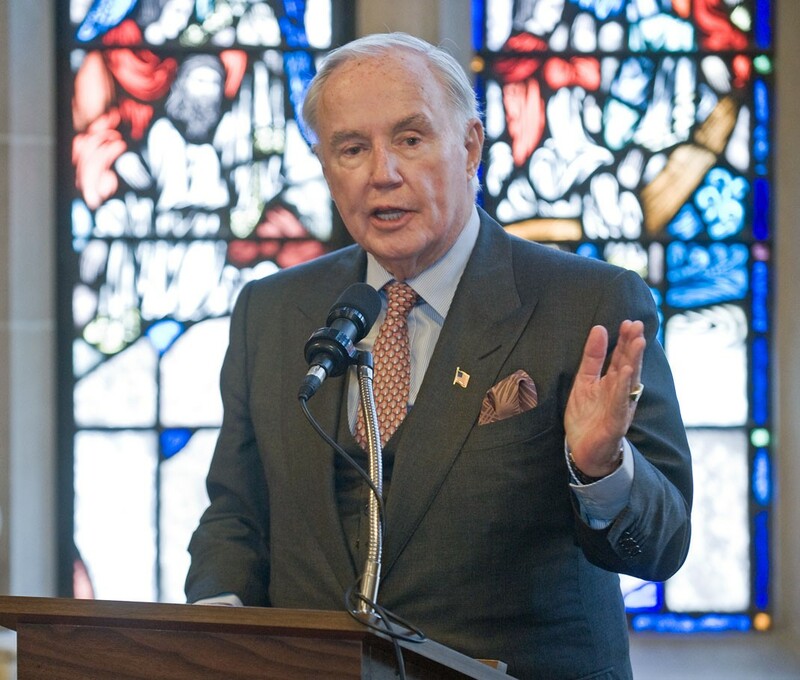 Ambassador to Ireland will be philanthropist and businessman Brian Burns, the grandson of an emigrant from Sneem, County Kerry. Burns, 80, and his wife, Eileen, have been close friends of Trump through the Palm Beach and Mar-A-Lago connection. O’Malley, a St. Louis trial lawyer whose grandparents emigrated from County Mayo in the early 20th century, was appointed by Obama in June 2014 after a record-setting 18-month gap following the departure former ambassador and Pittsburgh Steelers owner Dan Rooney. This entry was posted in Irish America, Politics and tagged Barack Obama, Brian Burns, county clare, County Kerry, County Mayo, County Offaly, Dan Rooney, Donald Trump, Kevin O’Malley on January 7, 2017 by admin.